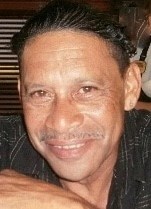 Mr. Carlos Rodriguez, 63, of Inverness, FL died on Friday, February 1, 2019 in Inverness. Mr. Rodriguez was born on December 17, 1955 in Santurce, Puerto Rico. He was a veteran of the U.S. Marine Corps. Carlos was preceded in death by his parents, Ruben and Adela Rodriguez; a brother, Daniel Rodriguez; and his wife, Blanca Rodriguez. Survivors include his son, Tito Torres and his girlfriend, Stephanie Mazza of Citrus Springs, FL; two brothers, Roberto Rodriguez and his wife Millie of California, and Ruben Rodriguez of Connecticut, a sister, Doris Rodriguez of Clermont, FL; six grandchildren, Antonio Rohena Torres, Norberto Torres, Brandon Torres, Israel Torres, Kenneth Torres and Carmen Torres; Brenda Ramos whom he considered a daughter; 3 great grandchildren; as well as his significant other, Laurie Howard. A Funeral Service for Mr. Rodriguez will be held at 11:00 AM on Monday, February 11, 2019 at the Heinz Funeral Home, Inverness. The family will receive friends one hour prior to the start of the service at the funeral home. Interment will follow at Florida National Cemetery, Bushnell, FL. at 1:00 pm, with Military Honors.